This is Henry James O'Farrell, the man who attempted to assassinate Prince Alfred, Duke of Edinburgh, during his visit to Australia in 1868. O'Farrell was born in Dublin, but his family migrated to Australia when he was a child. 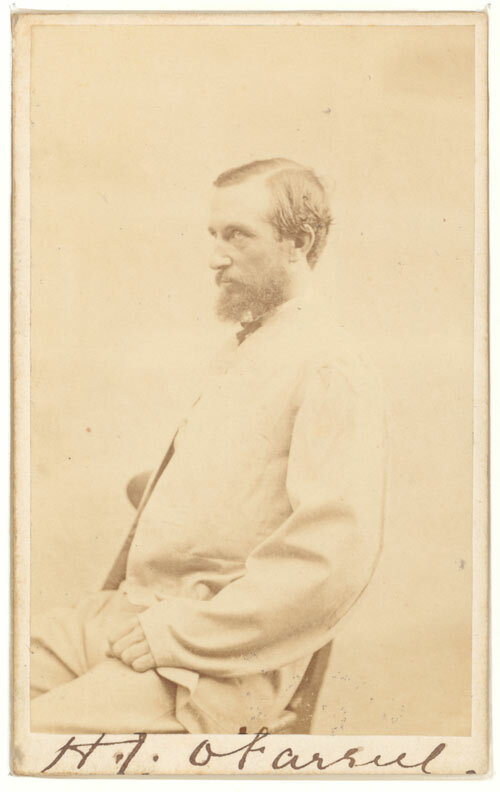 In 1867 O'Farrell suffered a serious mental breakdown, probably influenced by alcoholism. The next year the Duke of Edinburgh, Queen Victoria's second son, made a royal goodwill tour of the colonies. On 12 March O'Farrell went to a picnic put on for the duke at Clontarf, in Sydney. O'Farrell fired at the duke with a pistol, wounding him in the back. At first O'Farrell claimed he was part of a Melbourne Fenian, or Irish nationalist, conspiracy. He later admitted he had acted on his own after dwelling on 'the wrongs of Ireland.' He was quickly tried, found guilty and hanged at Darlinghurst Gaol on 21 April 1868. The duke himself attempted to have O'Farrell's life spared on the grounds that the would-be assassin was not in his right mind. In both Australia and New Zealand O'Farrell's action heightened tensions between Catholics and Protestants, and increased concerns regarding Fenianism and the potential for acts of terror.